GSK-25 maintains good selectivity against a panel of 31 kinases, as well as RSK1 and p70S6K (RSK1 IC50 of 398 nM, p70S6K IC50 of 1000nM), and a dramatically improved P450 profile (>2.2 uM at all isozymes tested). 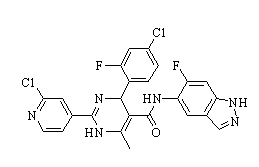 S6K-18 is a highly selective inhibitor of S6K1, with an IC(50) of 52nM. Clindamycin Palmitate HCl a ribosomal translocation and protein synthesis inhibitor that displays efficacy against MRSA. It is also occasionally used to treat Plasmodium. 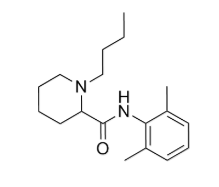 M2698, also known as MSC-2363318A, is a potent dual-inhibitor of p70S6K and Akt that affects tumor growth in mouse models of cancer and crosses the blood-brain barrier. Bupivacaine, is a medication used to freeze tissue in a specific area. It is used by injecting it into the area, around a nerve that supplies the area, or into the spinal canal's epidural space. 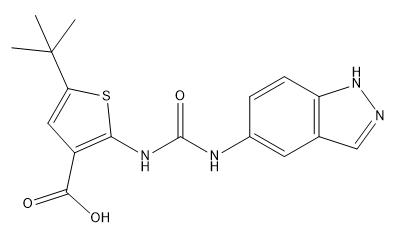 AD80, a multikinase inhibitor, inhibits RET, RAF,SRCand S6K, with greatly reduced mTOR activity. 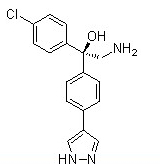 Bupivacaine Hydrochloride is a local anaesthetic drug belonging to the amino amide group. BIX 02565 is a novel ribosomal S6 kinase 2 (RSK2) inhibitor with an IC50 of 1.1 nM.